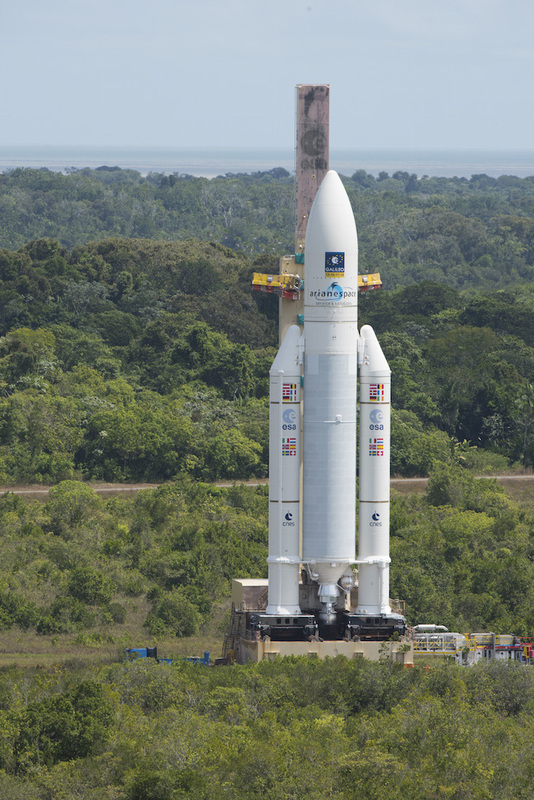 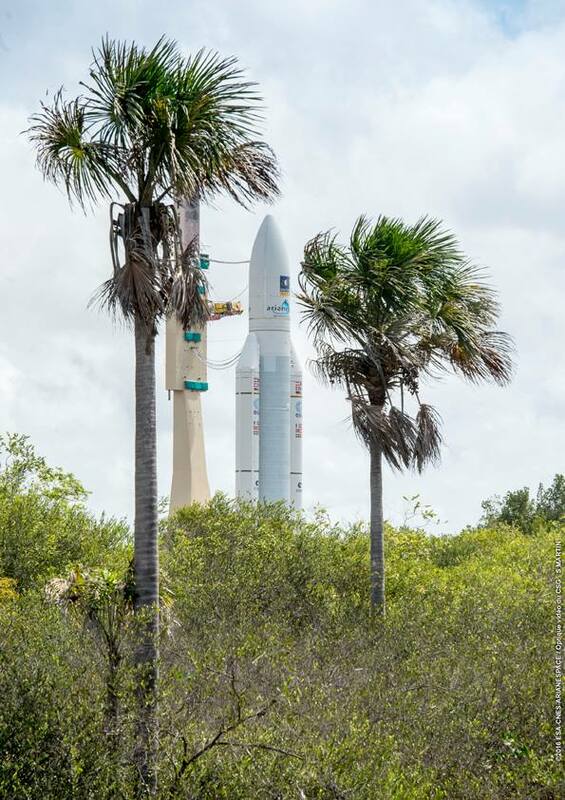 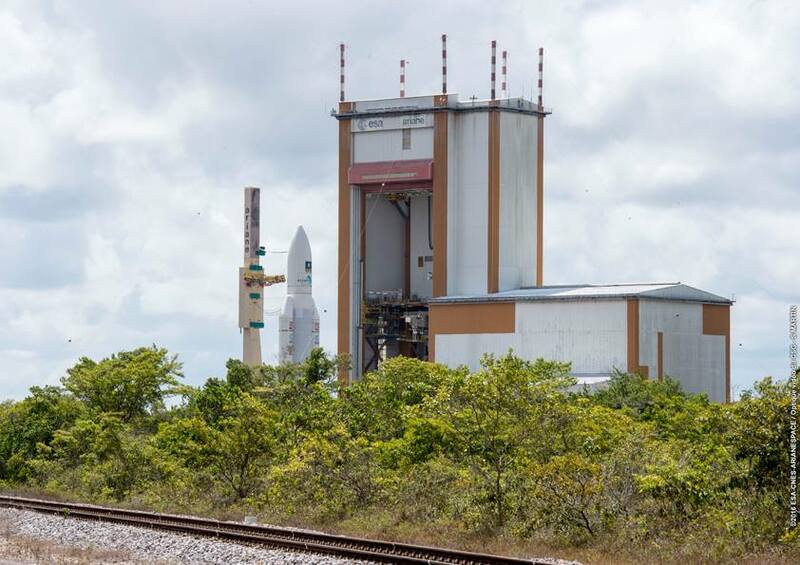 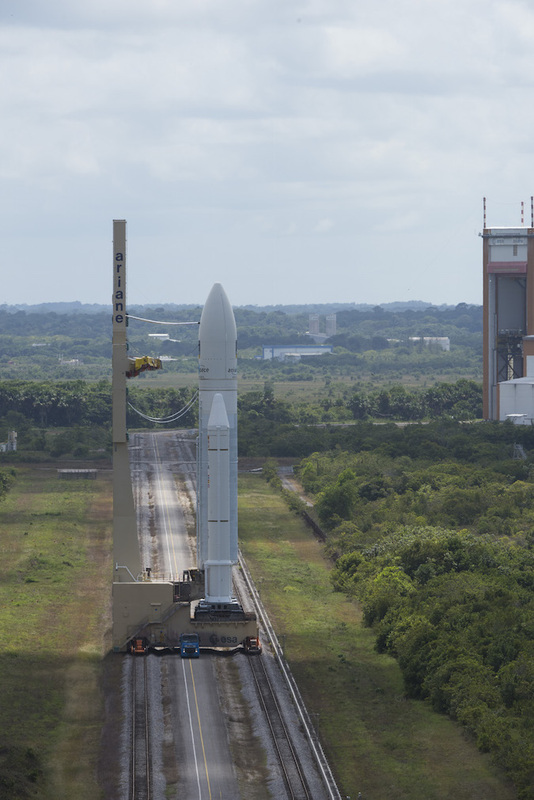 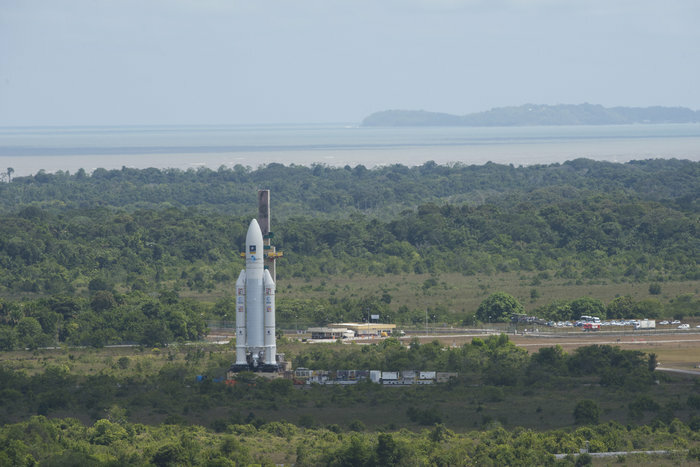 An Ariane 5 rocket rolled out to its tropical launch pad in French Guiana this week leading up to Thursday’s launch of four Galileo navigation satellites for the European Commission. 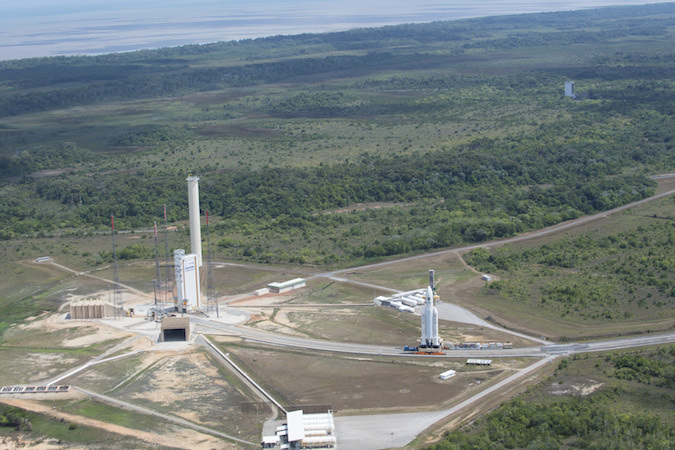 The 165-foot-tall (50-meter) rocket make the 1.7-mile (2.7-kilometer) trip to the ELA-3 launch zone Tuesday mounted on a mobile launch platform. 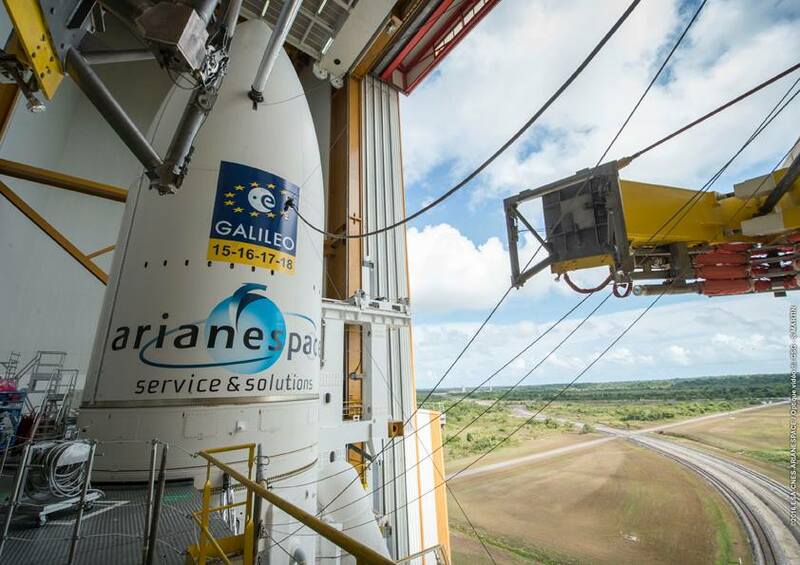 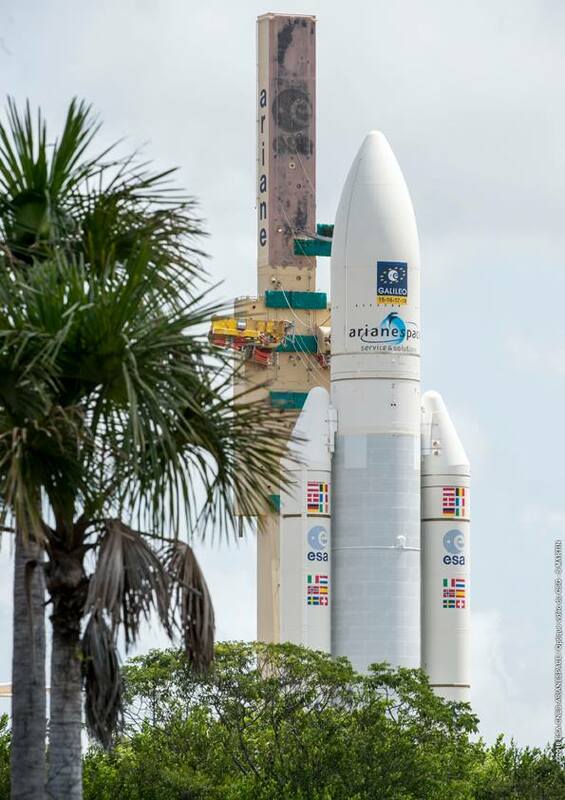 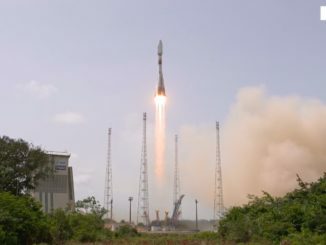 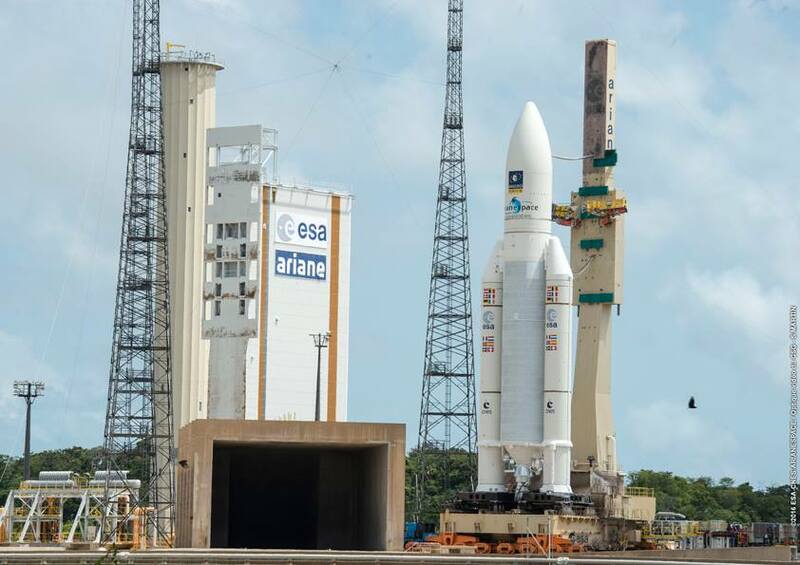 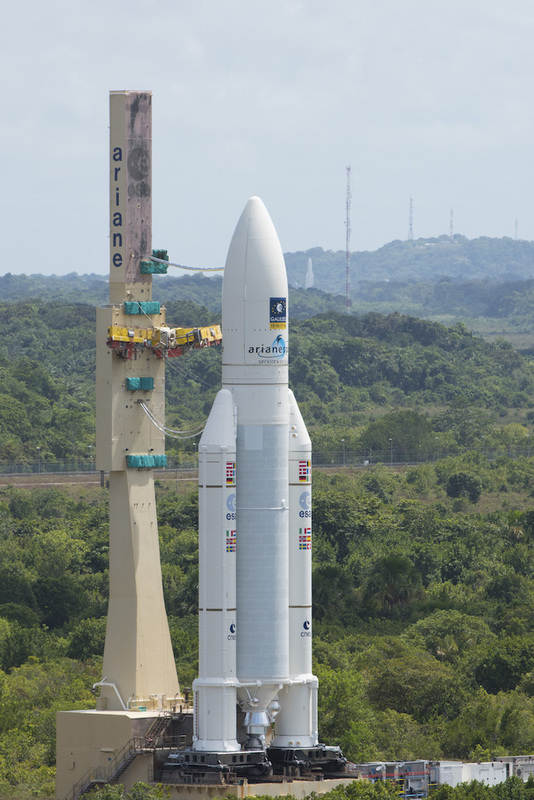 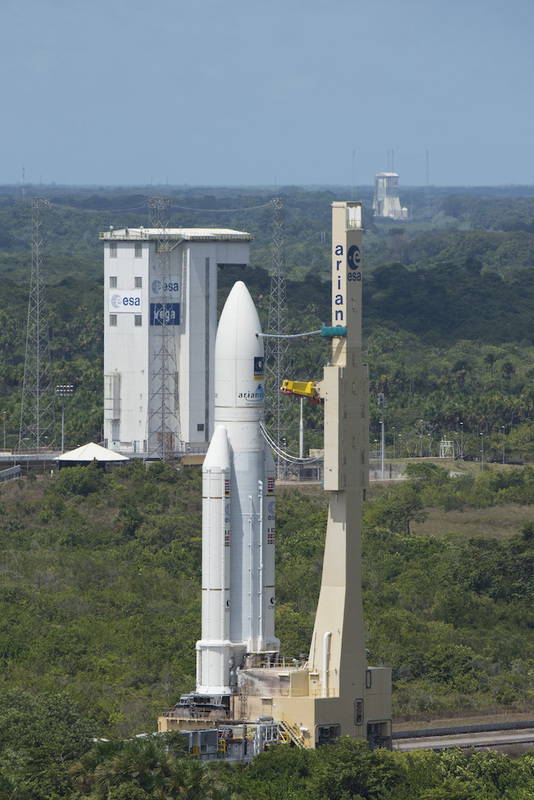 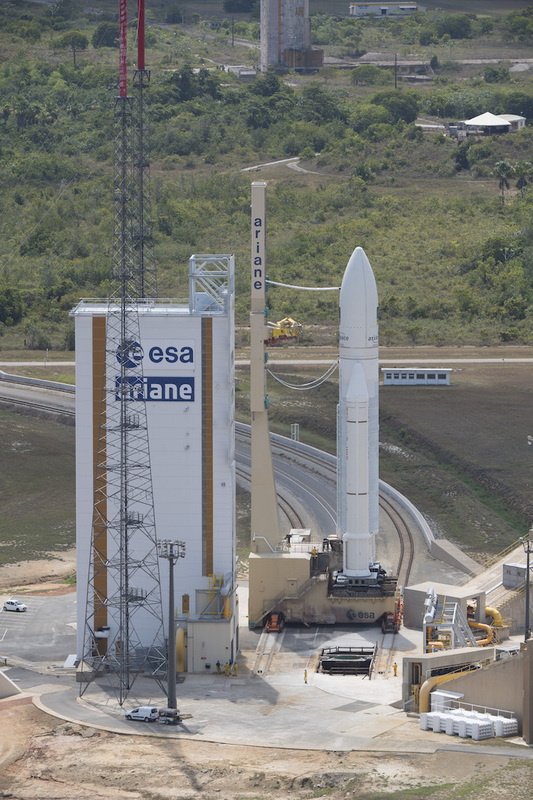 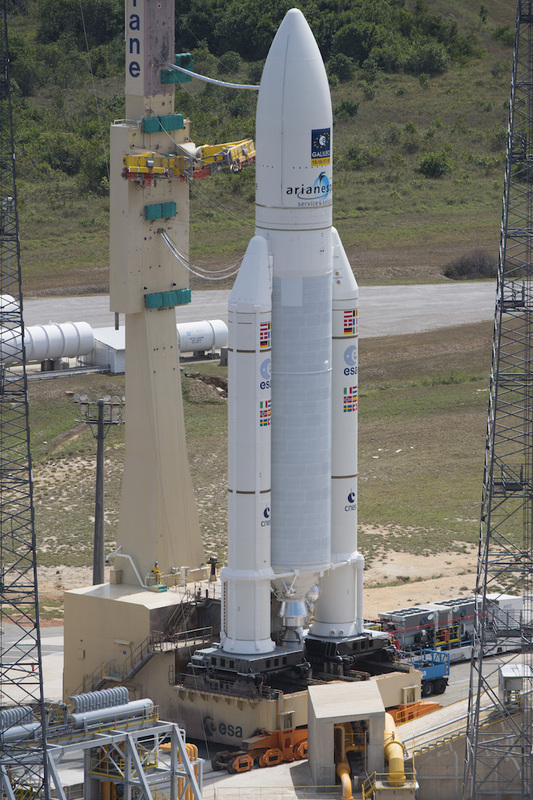 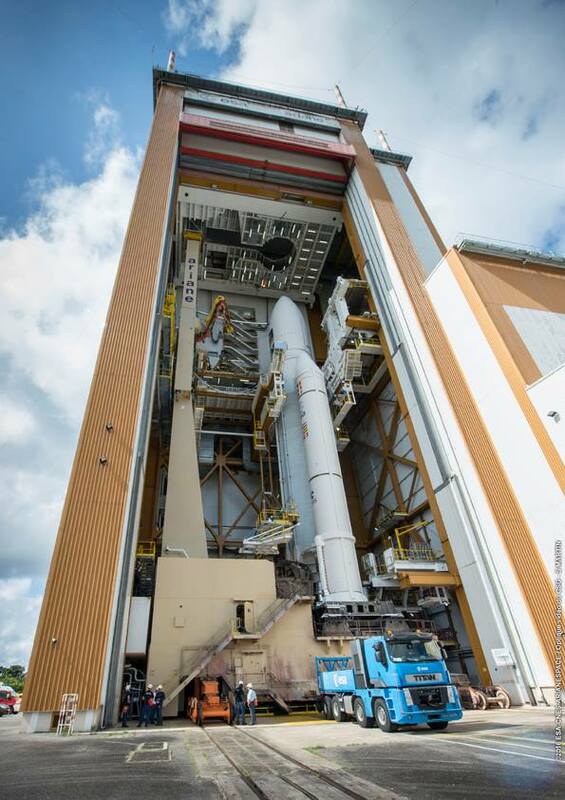 Four satellites for Europe’s Galileo navigation network are bolted on top of the rocket for liftoff Thursday at 1306 GMT (8:06 a.m. EST; 10:06 a.m. French Guiana time). 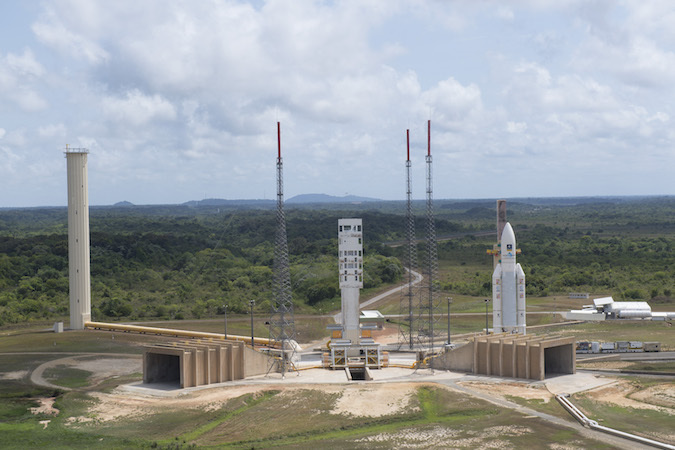 Thursday’s launch is the first Ariane 5 flight in support of the Galileo program, which aims to field an independent navigation network alongside the U.S. military’s GPS constellation, Russia’s Glonass system and China’s Beidou fleet. 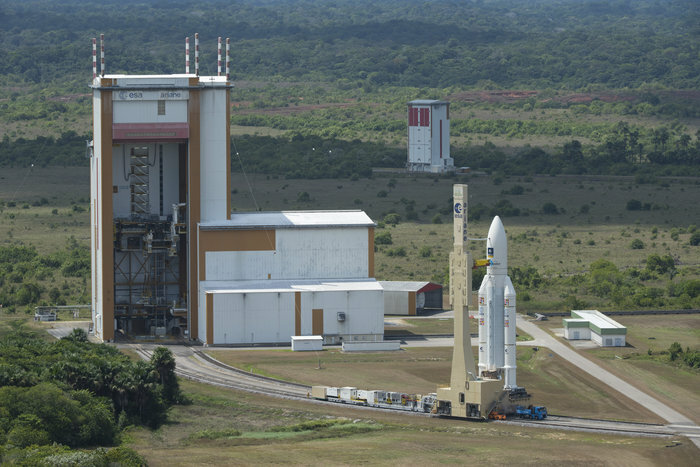 The Ariane 5 ES rocket slated to launch the Galileo satellites is modified specifically to loft the European navigation payloads. 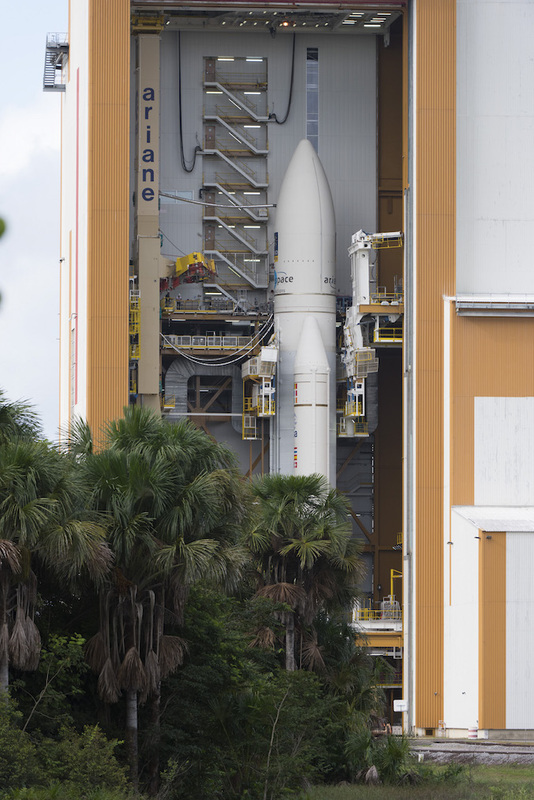 Besides the dispenser built to hold the Galileo satellites, it has a restartable Aestus upper stage engine, a shortened payload fairing, and a lighter version of the Ariane 5’s vehicle equipment bay, a structure that houses much of the rocket’s guidance system. 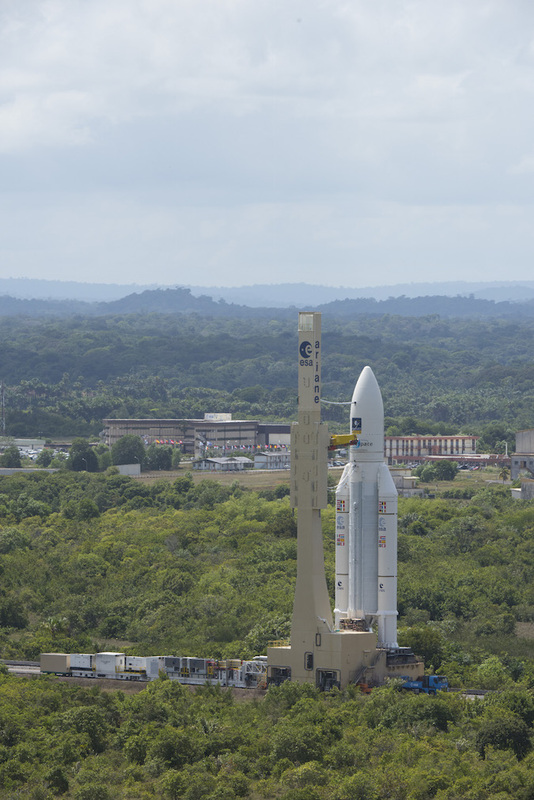 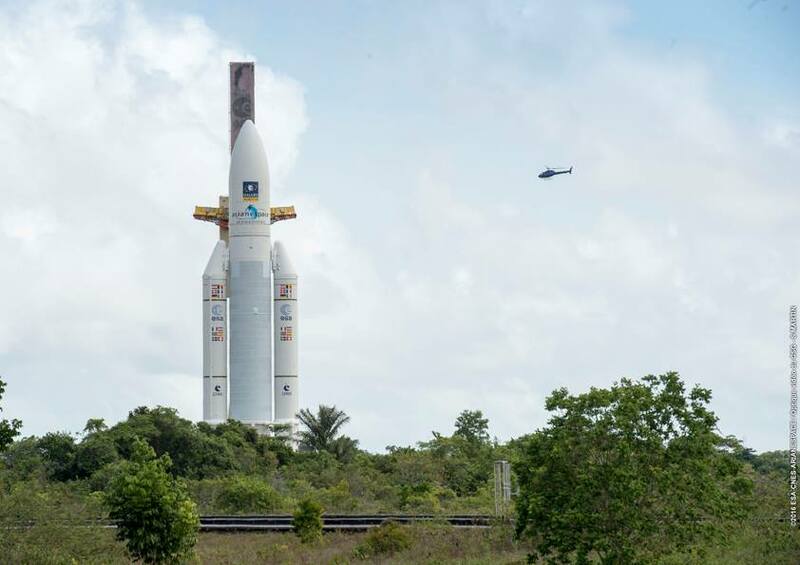 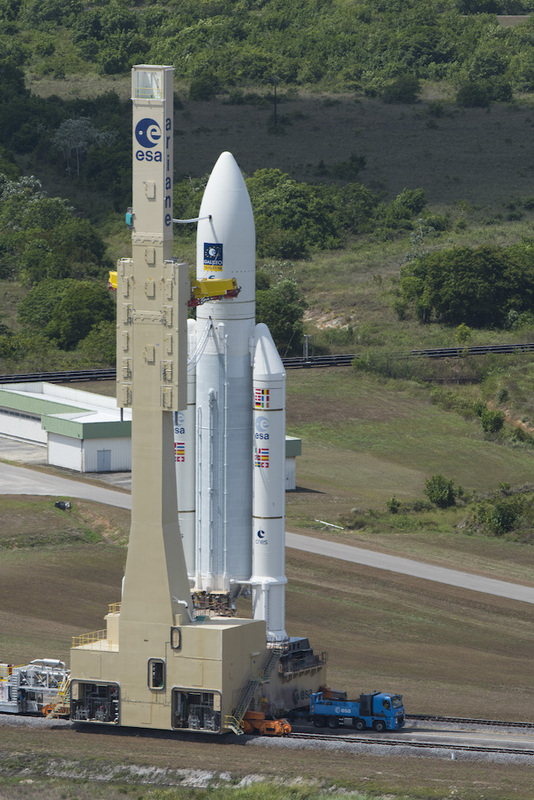 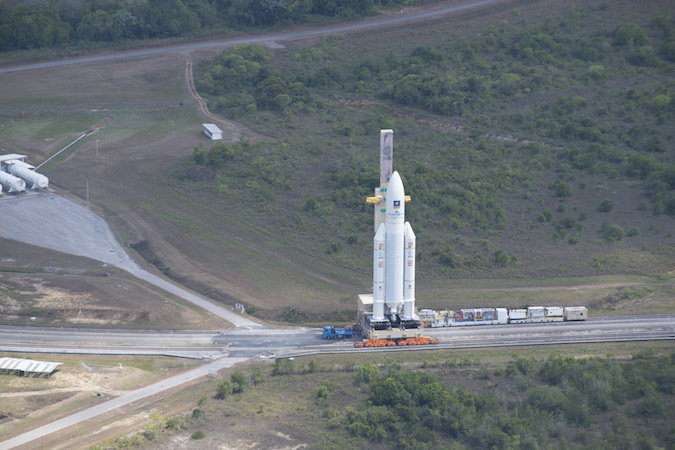 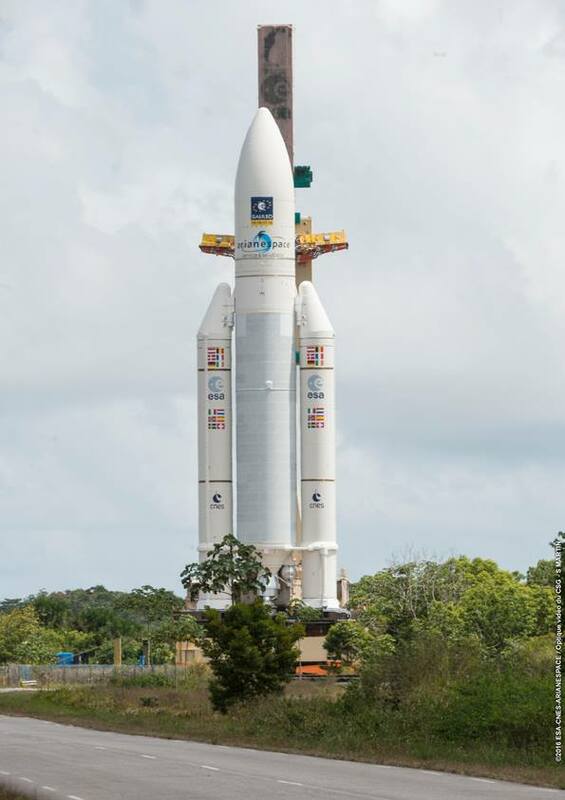 The photos below show the Ariane 5 emerging from the final assembly building at the Guiana Space Center and making the trip to the launch pad. 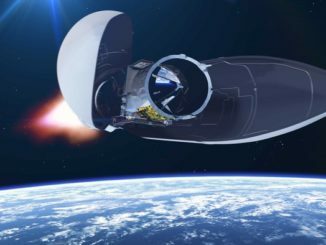 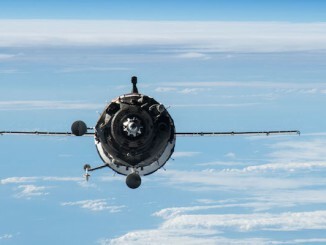 Read our launch preview for more information on the mission.